The Southern Environmental Association would like to remind the general public that it is illegal to fish any species of parrot fish from Belize's waters. 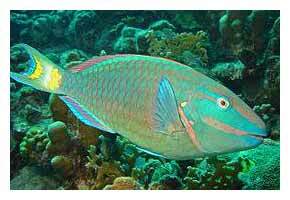 Parrot fish are important reef grazers, who have teeth specially designed to scrape algae from coral and rocks. Without such fish species, the health of reef could possibly deteriorate due to excess algal growth. Fishermen are also reminded that it is illegal to land fish fillet without a skin patch of 2 inches by 1 inch on each piece of fillet. SEA appreciates the support of the public and encourages everyone to continue being good environmental stewards of our natural resources!